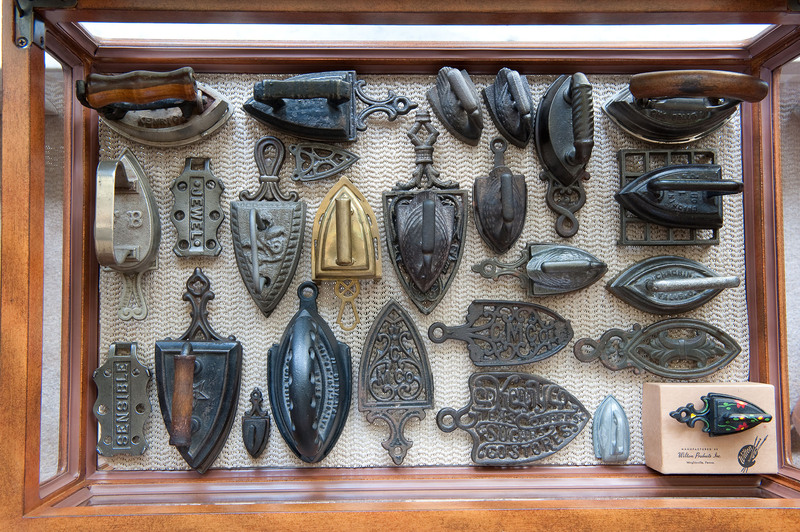 A 23 x 15″ curio table showcases a collection of little irons and trivets. Little irons and trivets are wonderful to collect! At 5″ or less in length, they take up much less display space than their full sized counterparts. Catalogs of the mid-to-late 1800s through the early 1900s document household sad iron manufacturers such as Ober, Enterprise and N. R. Streeter (Sensible irons) were producing and promoting toy irons for young children. In the next few blog posts I’ll share some information on little trivets. For a thorough review of little irons and trivets I recommend the reference books “Tuesday’s Children” (1977) and “Early Tuesday Morning” (1986) by Judy & Frank Politzer. Vintage copies are available on eBay and Amazon; new copies are available for sale through PITCA. PS: See also these earlier blog posts: Displaying little trivets and The little J & E Stevens sunflower trivet. 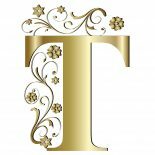 This entry was posted on May 15, 2017 by Lynn Rosack in Toy Trivets & Irons and tagged Early Tuesday Morning, Judy Politzer, Tuesday's Children.